Setup is simple and settings can be specific to each user. A popup widow, Google Cloud Print Settings, allows you to select a document printer and a label printer. These can be turned on and off as required. 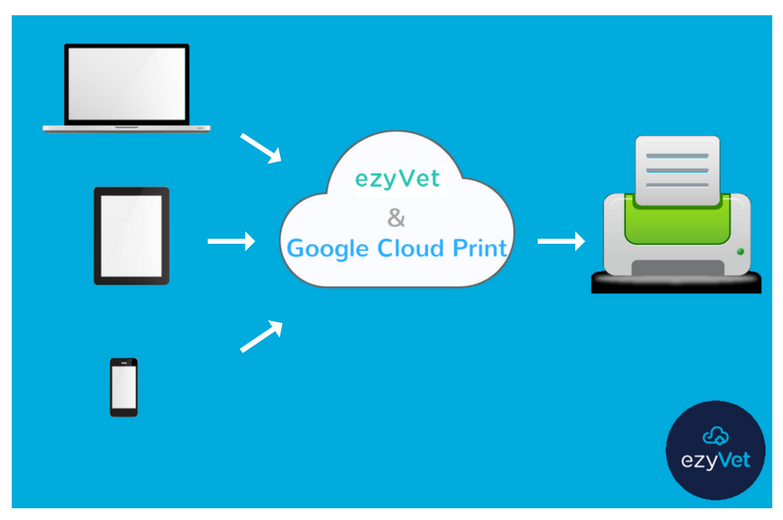 Practices can enjoy printing directly from ezyVet with one click. "Hello" remote printing and "See ya" network printers! You can learn more about ezyVet and Cloud based software here.